Former Russian lawmaker Denis Voronenkov was shot and killed in Kyiv Thursday in what the Ukrainian president described as an "act of state terrorism" by Russia, an accusation the Kremlin angrily rejected. Voronenkov, who testified to Ukrainian investigators and criticized Russian policies after his move to Kyiv last fall, was shot dead by an unidentified gunman near the entrance of an upscale hotel in the Ukrainian capital. The assailant also wounded Voronenkov's bodyguard, who fired back and wounded the gunman. Both were hospitalized but Ukrainian media cited hospital doctors later in the day as saying the gunman had died. Ukrainian President Petro Poroshenko said Voronenkov's killing "clearly shows the handwriting of Russian special services shown repeatedly in various European capitals in the past." In a statement released by his spokesman, Svyatoslav Tsegolko, Poroshenko described the victim as a key witness who gave testimony about "Russian aggression" to the Ukrainian authorities. Russian President Vladimir Putin's spokesman, Dmitry Peskov, dismissed the claim of Russian involvement in the killing as "absurd" in a statement carried by Russian news agencies. Russian Foreign Ministry spokeswoman Maria Zakharova went further, saying the "killer regime" in Kyiv "will do its best to make sure that no one will ever know the truth about what happened." She added that Russia was shocked to hear Poroshenko's accusations without offering any evidence and as Ukrainian police were inspecting the crime scene. Several hours after Voronenkov was killed, a team of investigators and police were seen working at the front door of the Premier Palace hotel, which is frequented by Kyiv's rich and powerful. The patch of the pavement by the door where he died was wet from water that utility workers had used. Poroshenko said it wasn't accidental that Voronenkov's killing came on the same day as the fire that erupted at a Ukrainian military arsenal in the Kharkiv region, which Ukrainian officials said was caused by sabotage. Voronenkov, 45, a former member of the communist faction in the lower house of Russian parliament who had obediently toed the Kremlin line, moved to Ukraine with his wife, singer Maria Maksakova, who was also a lawmaker. He said he had to leave Russia because of persecution by Russian security agencies and had renounced Russian citizenship. He had been granted Ukrainian citizenship. 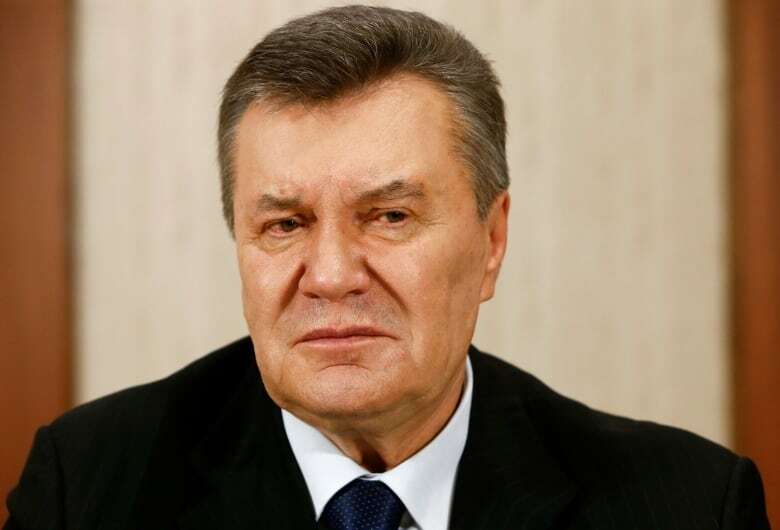 He testified to Ukrainian investigators as part of their probe into the activities of the nation's former Russia-friendly president, Viktor Yanukovych, who was ousted by massive protests in February 2014. After his move to Ukraine, Russian investigators filed fraud charges against Voronenkov in connection with his business activities. A Moscow court earlier this month sanctioned his arrest in absentia. Ukraine's chief prosecutor, Yuriy Lutsenko, said Voronenkov was shot in the head, neck and stomach and died on the spot. 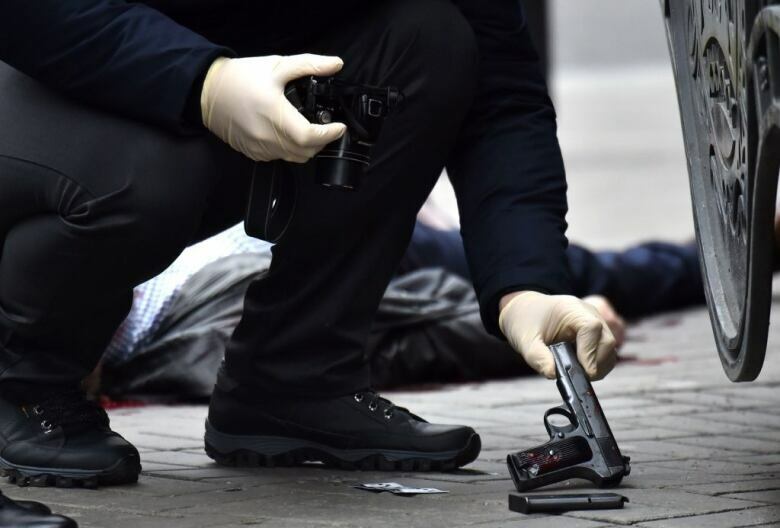 Lutsenko said the gunman carried a Ukrainian passport and had been sought by the authorities on fraud and money laundering charges. Lutsenko said investigators were looking into Voronenkov's role in exposing a contraband ring in Russia which cost several senior security officers their jobs, and also his testimony on Yanukovych, as possible motives behind his killing. Nikolai Kovalyov, the former Russian security chief who is a lawmaker, told Russian state television that the killing could have been rooted in a business dispute. Peskov said that Putin was informed about Voronenkov's killing and voiced hope that Ukrainian authorities would solve the crime. He added that Voronenkov's widow was welcome to return to Russia.